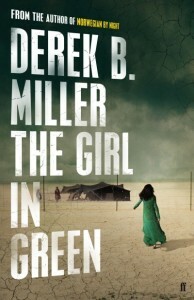 Thriller Books Journal is pleased to host Derek B. Miller, author of ‘The Girl in Green’, a stunning contemporary thriller set in Iraqi Kurdistan, one of the world’s most war-ravaged regions. [Q]: Hello Derek, nice to meet you and thank you for joining us. Let’s start with some background: was writing fiction your first professional calling, and if not, how and when did you start writing? [A]: I was an undergraduate at Sarah Lawrence College in the U.S. which — at the time — had the only undergrad fiction writing program in the United States. It was one of the reasons I wanted to go there. Once I arrived, I was almost immediately swept away from writing in the sea of intellectual possibilities there. After dabbling in palaeontology and geology (some of which found its way into this novel), neurology, world literature and the Bible as literature, I finally settled into history and international affairs. No fiction writing. I eventually went to Georgetown for an MA in national security and to Geneva for my doctorate. What was interesting, in retrospect, was how I arrived in Geneva — friendless and penniless and without internet in 1996 — and started writing fiction on my laptop. In parallel to my studies and work I continued writing and finished a manuscript in 1998. Three manuscripts later, or so, and I produced Norwegian by Night in 2008, which became my first published work of fiction. I wouldn’t say it was a professional calling, per se, but rather a domain of my life where ideas, experiences, and observations had a place to go. I needed this because my real professional life, in international affairs, did not satisfy me entirely. [Q]: As a reader I was swept away by ‘The Girl in Green’ and as a reviewer I … ‘struggled’, because the novel overflows with meaning, insight and themes. What kindled the first spark for you, which was your original motivation in writing it? [A]: Thanks for saying that. As I writer I can assure you that I felt some of that too, though I was coming at the material from the other end of the process. I have travelled rather widely in the Middle East and around the world — perhaps 50 countries by now, and that’s not including my 20 years abroad from the U.S. — and that region has always pulled me towards it. I focused on Iraq when I wrote a Ph.D. and a lot of the stories I read about the civil war of 1991 stayed with me. There is a chapter in which Benton, the British reporter, is talking to a Syrian father as they both watch the son play football on a dusty pitch. It is a painful but very real chapter and I’m proud of it. That act of bearing witness, if nothing else, is important. I think we should help when we can, but even when we feel powerless as individuals we can — and perhaps must — have the courage to say, “I see you. I remember.” This motivated me into the book. But it was the girl in green herself, once I understood her story across time, that provided the center of gravity for the drama. Because this is not a polemic; It’s a novel. And my aspiration here is to sweep the reader up into a fictional dream and give them, in some small way, an experience that will stay with them. [Q]: In ‘The Girl in Green’, former ‘Desert Storm’ soldier Arwood Hobbes and British journalist Thomas Benton engage in a search for a lost Iraqi girl, travelling deep into a region devastated by the Syrian civil war and the savage struggle between ISIS and Iraqi forces. It is a mad quest, held together by the gossamer threads of friendship and devotion to an ideal. 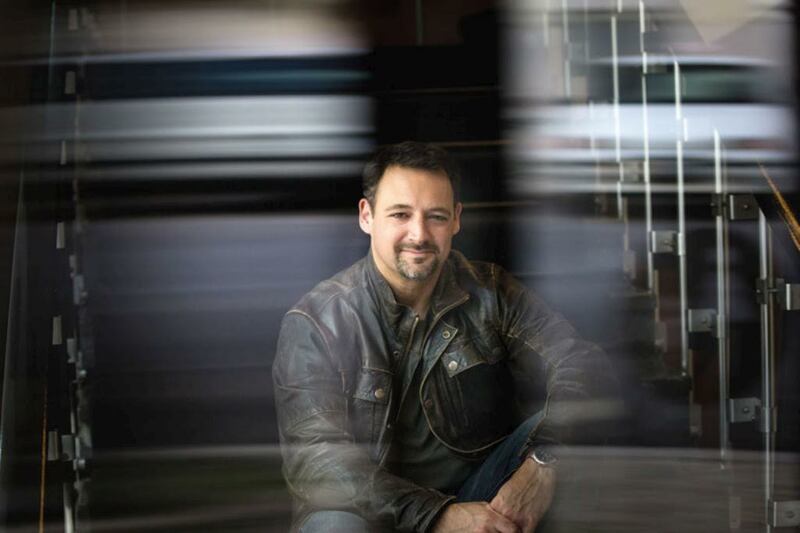 They are no super heroes, and even the technology they have at their disposal is patchy. Yet, at some level, they are super heroes – but such ordinary, scared superheroes as to be wholly believable. Can you please tell us more about what they mean to you as characters? [A]: I think they are super heroes in the same way that Horton the elephant was a superhero when he decided to protect the Whos because “a person is a person no matter how small.” At some point we all reach a moment of crisis. And when we do, a lot of the artifice of philosophy falls away and we come face to face with what we actually believe. We learn what this is when we simply have to act otherwise we cannot continue to be ourselves. It seems to me that if we fail to act in alignment with our core beliefs, something breaks. This isn’t philosophy because it is not a reflection on practice nor is it a stance we adopt having considered something. I’m talking about the very foundation of our being come face to face with a circumstance to which we must act or else suffer the consequences. We can call those consequences psychological or spiritual, but the resulting trauma is the same. In this case, these men were stripped back to their raw humanity and simply had to proceed in a certain way in order to hold themselves together — different people though they are. Heroics, I’ve often found, result when everything else has failed you. And you’re left alone. At least these guys had each other. [Q]: Your novel shows how friendship is a miracle flower that can blossom out of the most unlikely terrain. Do you think it is possible for people from radically different cultures to bridge the original gap and understand each other, and if so, how? [A]: I’m not always sure we can understand each other, because I take cultural systems and their differences very seriously, but I do think we can love each other. I picture two tall reeds growing from a dune and — against the usual forces of nature — move towards each other at the top. But the roots never move. They are no closer together than they were in terms of their foundations and formation. But they have arrived at a place together. Love does not change our capacities or reorder our understandings of the world. But if we as individuals, and also as cultural beings, both value love and practice it, we can find a way to come together — even when we sincerely don’t understand each other. I think this is the essence of hope and the only chance we have, globally, when facing the simple fact of our shared circumstance called humanity. [Q]: The role of Western and Eastern aid organizations in trying to bring relief to war-ravaged populations looms large in your novel. The sense I had in reading ‘The Girl in Green’ is that the men and women who really do make a difference to the people they help are those who focus chiefly on the job’s practicalities, leaving moral judgments aside, or at least suspending them. Is this a fair assessment, and what is your opinion on this? [A]: English-speaking cultures, like ours, use a range of words to describe humanitarian action but the cluster of associations we give it all centre around something soft, charitable, kind, weak, inspired, altruistic, and — if you pause to consider it — feminine. Florence Nightingale does humanitarian work. And Mother Teresa. Not George Patton or Rommel or manly men, however much Jesus and all the apostles held that act as central to both Christianity and humanity itself. Such are our times. But this is much braver work and much tougher, and more risky, and more blood and guts than about 90% of soldiering in a professional military. Most soldiers are not deployed to a combat zone. Most do not get a combat patch. Many never leave the Forward Operating Base, or the submarine, or the airbase. Most are not in harms way except on paper because they could be sent to the “front line” (a dated term, but the metaphor remains). So-called Humanitarian field staff are at the front line, eat on the front line, sleep on the front line, they are not armed, and a tremendous number of them are women. I do not romanize that world. It’s a mess. The funding is a mess, the operations and coordination are a mess (or maybe a pile of messes), the relations with local organizations are terrible, there is an absence of meaningful partnerships, and a general ignoring of local strategies for achieving operational success — I could go on. But it’s serious and it is growing more complex because the world is not unified on the value of helping non-combatants. And so those who advance the cause are putting themselves in harm’s way. And these are not only Westerners. Not by a long shot. [A]: Thanks for saying that. In the earliest draft of the manuscript, the book opened with that scene and that conversation. The timeline was ordered differently and wasn’t chronological like it is now. You’ve picked up on a central passage which is anchored in an observation that I think is essential today, which how every virtue, taken to an extreme today, seems to become a vice. Everything, as it were, seems internally contradictory. Consider cooperation; tolerance; acceptance — all these virtuous acts can go too far and weaken us against people and ideas that absolutely do want to destroy us. But the alleged opposite practices of isolationism, xenophobia and exclusion are not solutions either and they certainly exacerbate many of the challenges we now face. Islam too has within it the capacity for mercy, beauty, tolerance and pluralism. But it also can support a worldview that divides us into the realms of war (dar al-Harb) and the realms of peace or submission (dar al-Islam). And here we sit, facing both directions while we face forward and backwards simultaneously. TBJ: Thank you very much for your time Derek, and we look forward to reading more of your work soon! [A]: Thank you for the opportunity.